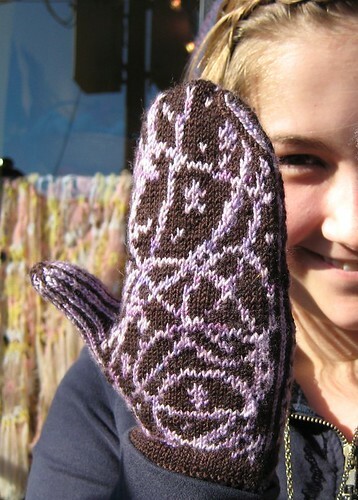 The Galileo Mittens pattern is finally ready for public consumption! Bring some celestial beauty into your life with these unique and fun mittens. 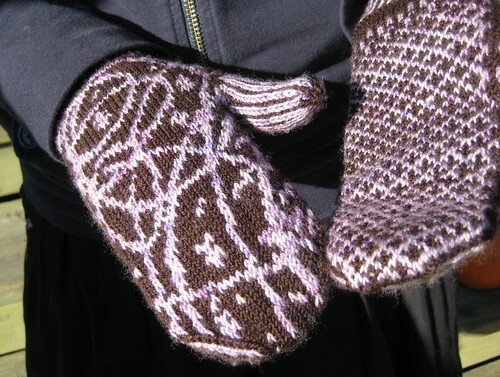 The Galileo mittens are worked in a mirrored, non-repeating stranded colourwork pattern on the hand that is reminicient of Renaissance astronomy charts and inspired by the stars. Striped cuffs and thumbs, as well as a diamond palm pattern, provide a visual geometric contrast. A close fit keeps your hands toasty while you contemplate the heavens. Size L contains 5 extra rounds for additional length in the mitten hand. Size can be further altered by changing the gauge and needle size. For a larger mitten, use needles one size larger. For a smaller mitten, use needles one or two sizes smaller. produce as written. The Chart as presented will result in a very slightly different pattern on the back of the hand, as several rounds were inserted before the decrease rounds at the top of the mitten (not shown). If your mittens look a bit different from the photo near the top of the hand, don’t worry! You’re still on the right track! This 5-page PDF download contains written instructions and charts. File size: 1.4 MB Ravelry download. Payment is by Paypal balance or credit card (no Paypal or Ravelry membership needed). Beautiful. Love the design, colors and the NAME! Pretty! And good name. I have me a busy mitten queue. Yay! Grad school and yarn of the month mailing be damned, I’m making some new mittens tonight!! The name is a stroke of brilliance. I don’t know when I’m going to get the chance to make them but make them I will – and as soon as I get the chance. Love em! I had to hit download right away! Very pretty mittens. Happy Halloween! Now it looks as though I’m going to need to learn how to knit fair isle… sigh! ha. I rarely see a pattern that makes me say, “I MUST HAVE THOSE!!!! !” I have been checking every day for this. Already cast on and have one cuff done! Awesome, Awesome, Awesome! Yay! I love the look of these mittens. 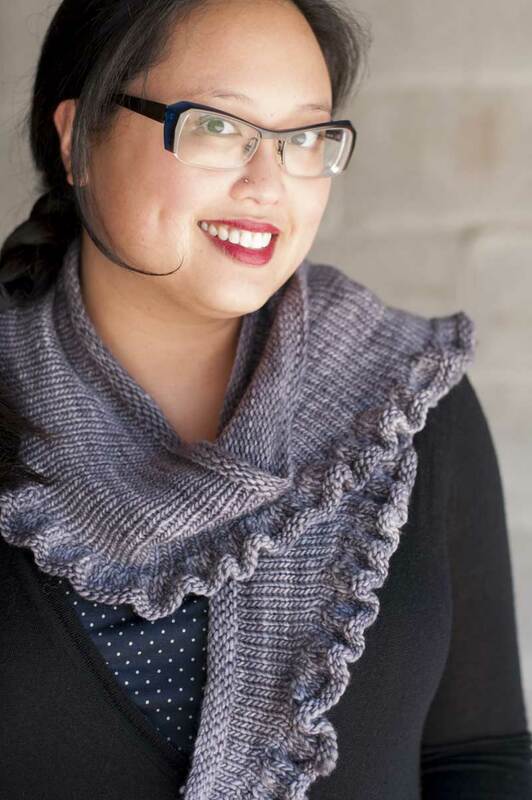 I must download the pattern at once. I’ve never-ever-ever been motivated to knit mittens (much preferring sweaters), but these, THESE have tempted me. Gorgeous. Nice work! beautiful! love the design and colors. Hi:) I love this pattern!! I am used to the Norwegian selbu mittens, and these are a delightfull change:) I am casting on as we speak:) Thank you for the pattern. patterns when the check clears. When I initially commented I clicked the -Notify me when new comments are added- checkbox and now each time a comment is added I get 4 emails with the same comment. Is there any approach you possibly can remove me from that service? Thanks!